Nokia has launched new touchscreen devices for its Asha series, the devices which include the Nokia Asha 305, Nokia Asha 306 and Nokia Asha 311. each device has a 3-inch screen and run the Asha Touch IU equipped with the Nokia browser 2.0. Nokia first unveiled the Asha series back in October 2011 which has currently grown to about 10 different devices in the Asha family. Apart from great connectivity and social online experience, the new Nokia Asha 305, Nokia 306 and Nokia 311 gives you an opportunity to run more than 10000 apps available for Asha phones. Not forgetting the unique entertainment offer from Nokia of 40 free EA games that come as a gift to every user to download and keep for life. 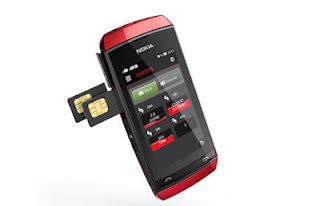 The Nokia 305 and 306 have common features, with additional Dual-Sim capability for Nokia for 305.